I've found that all of Maple Holistic's shampoos are lightweight and clean-feeling, and the ones with argan oil leave my hair feeling very moisturized and healthy. Their new Silk18 shampoo infuses a rejuvenating blend of 18 silk amino acids that help fortify and strengthen hair follicles, protecting them from dryness, breakage, damage, split ends and hairfall. The nourishing formula gently cleanses dandruff, excess sebum and impurities to leave hair feeling fresh but not stripped. It's also enriched with argan and jojoba oil to add softness and shine. And it has the best subtle vanilla scent! 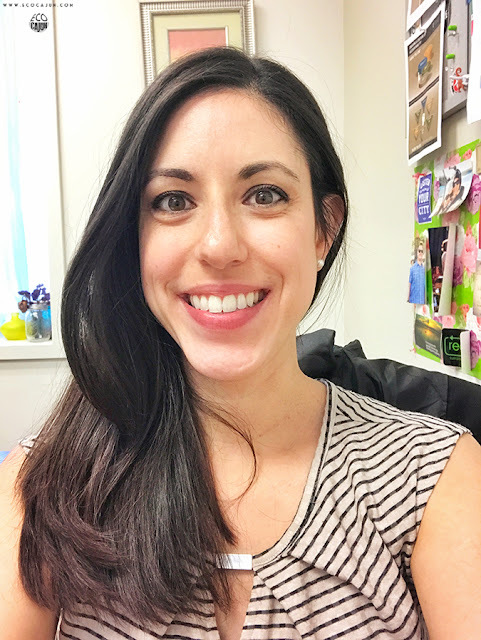 Being six months postpartum, my hair has been on a unique journey that I've both expected and dreaded. I've gone through the crazy shedding and am "enjoying" all of the new postpartum hair growth now. Luckily, my hair texture overall has stayed about the same as it was before (thick and wavy). The other aspect of postpartum hair is the difference in how I style it most days. I alternate between blow drying and straightening my hair (my preferred look) and letting it air dry and be naturally wavy/curly. Since having Ariana, and especially since returning to work, I lean a lot more often on the "letting it air dry" look. The argan oil in the Silk18 shampoo really helps to keep my hair from being too dry and frizzy, which is especially important when I'm letting it dry naturally. It also helps keep some of the silkiness in, even when I'm not using as much other product while styling. After using this shampoo, I've even blow dried my hair, skipped the flat iron and still gone run errands without feeling like I had a giant frizzball on my head. Old me never would've left the house without taming and smoothing my hair. 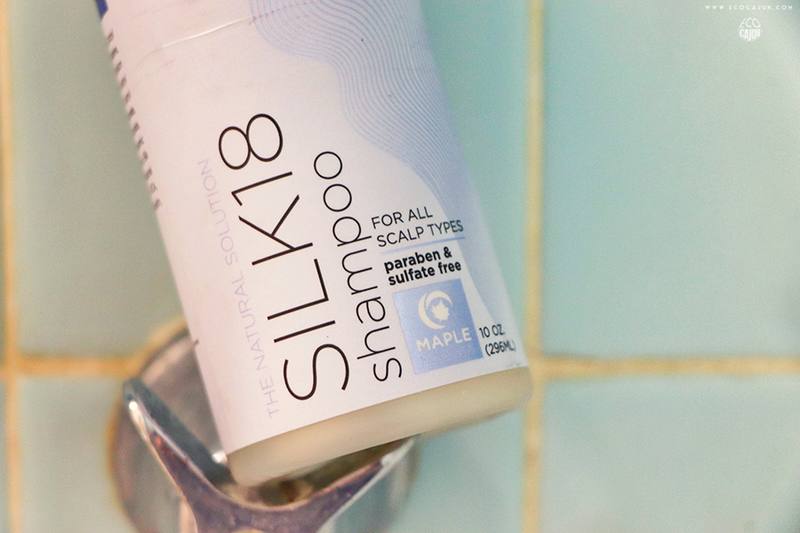 Maple's shampoos are sulfate and paraben-free making it great for all hair types, color treated hair, and sensitive skin. The bottle is recyclable as well. 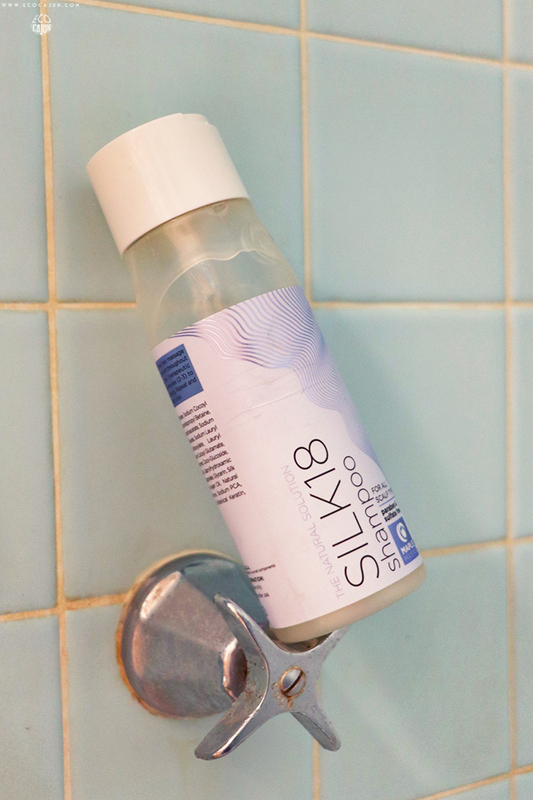 What I love the most about using these shampoos is that it allows me to feel more confident with my hair, and I'm able to skip using the heat tools a lot more often. It saves me much-needed time in the morning, it saves a little electricity and it saves me from having to use even more product to get my hair the way I want it to look. And when I can do all that with a shampoo that doesn't have potentially harmful ingredients, then I'm very happy. If you've got damaged hair, check out this Maple Holistics blog post and find out which ingredients to look for and which to avoid when shampoo shopping. Maple Holistics offered me a free bottle of shampoo in exchange for a review, but all opinions are my own!